Parrots are birds of the roughly 393 species in 92 genera that make up the order Psittaciformes, found in most tropical and subtropical regions. 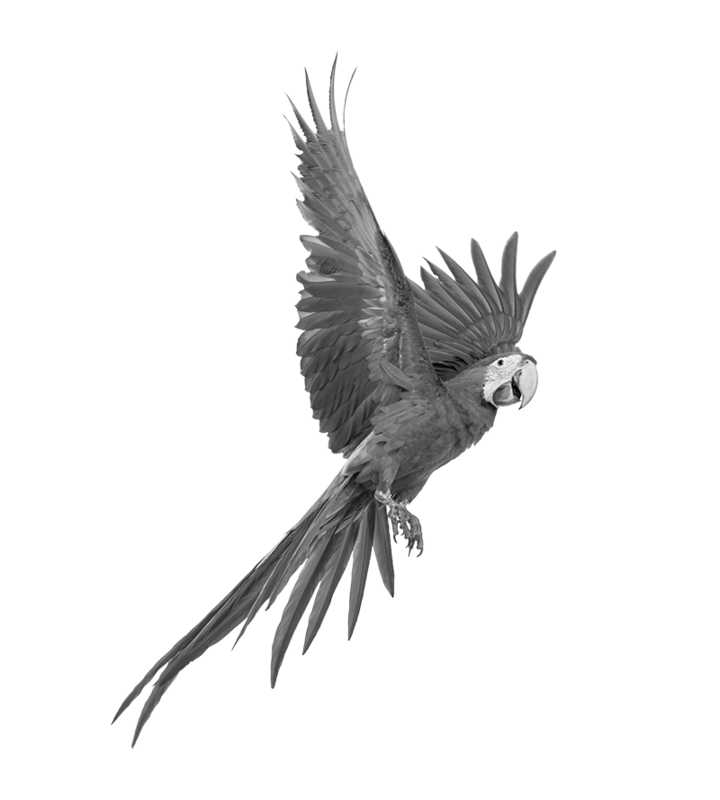 Parrots have a generally pantropical distribution with several species inhabiting temperate regions in the Southern Hemisphere, as well. The greatest diversity of parrots is in South America and Australasia. 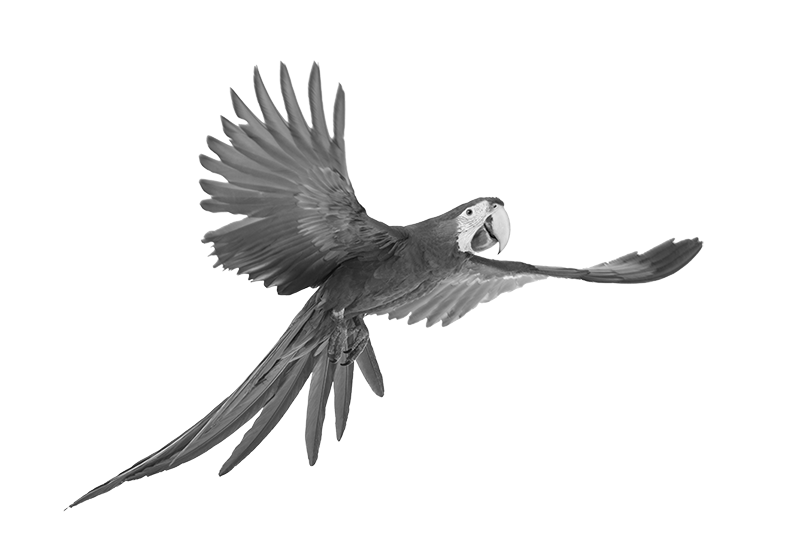 Characteristic features of parrots include a strong, curved bill, an upright stance, strong legs, and clawed zygodactyl feet. Many parrots are vividly coloured, and some are multi-coloured. Most parrots exhibit little or no sexual dimorphism in the visual spectrum. They form the most variably sized bird order in terms of length. The most important components of most parrots’ diets are seeds, nuts, fruit, buds, and other plant material. A few species sometimes eat animals and carrion, while the lories and lorikeets are specialised for feeding on floral nectar and soft fruits. Almost all parrots nest in tree hollows (or nest boxes in captivity), and lay white eggs from which hatch altricial (helpless) young. Parrots may not make good pets for most people because of their natural wild instincts such as screaming and chewing. Although parrots can be very affectionate and cute when immature, they often become aggressive when mature and may bite, causing serious injury. For this reason, parrot rescue groups estimate that most parrots are surrendered and rehomed through at least five homes before reaching their permanent destinations or before dying prematurely from unintentional or intentional neglect and abuse. The parrots’ ability to mimic human words and their bright colors and beauty prompt impulse buying from unsuspecting consumers. The domesticated budgerigar, a small parrot, is the most popular of all pet bird species.